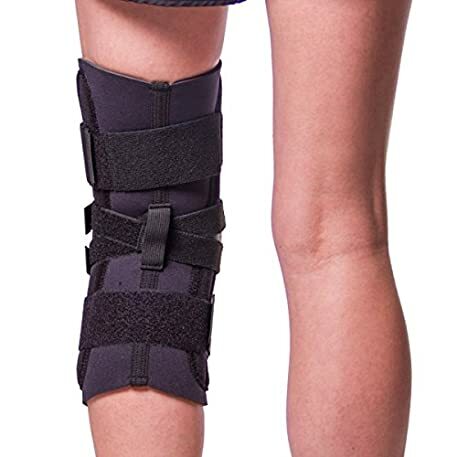 This lateral J brace is designed to support and help ensure proper movement of the kneecap. 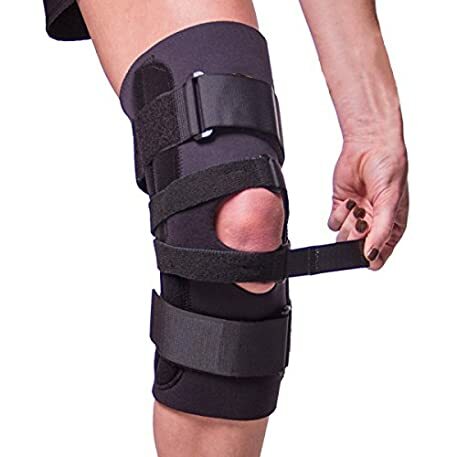 Featuring a c-shaped buttress and a versatile strapping system, this patellar stabilizer is able to properly support the kneecap and control movement. This lateral knee brace can help with a number of injuries and conditions involving patella tracking, kneecap irritation, patella misalignment, and more. 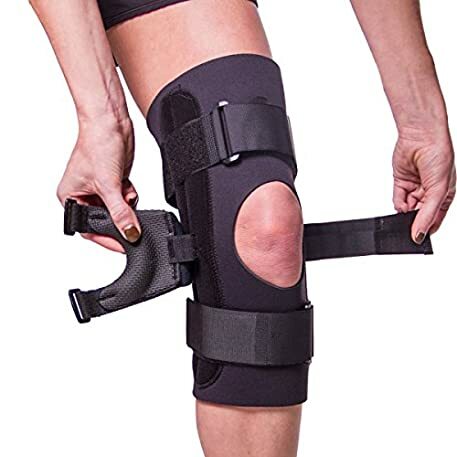 Some might compare the design of this J knee brace to the DonJoy lateral patella knee brace. 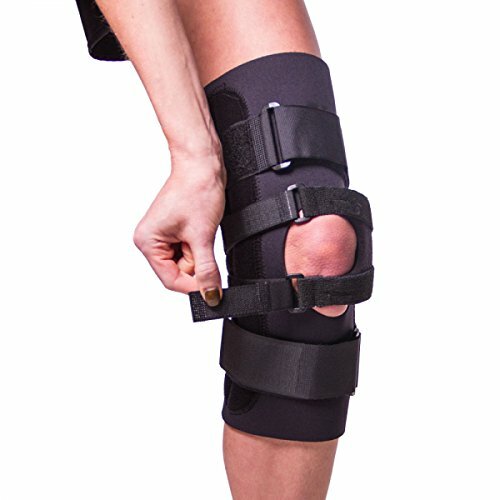 Such knee braces feature unique strapping mechanisms around the kneecap that help keep the patella in its proper position during movement, and as a result stabilizes the kneecap to promote healing. Depending on individual needs, the position and tightness of these straps can easily be adjusted as each has a buckle with Velcro closures. The c-shaped buttress can be moved to either the lateral or medial side of the knee, or it can be removed altogether. 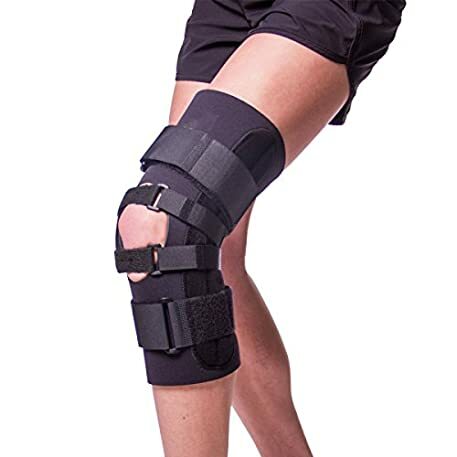 The patella brace itself is constructed of premium-grade neoprene that is free of latex and non-irritating to the skin. 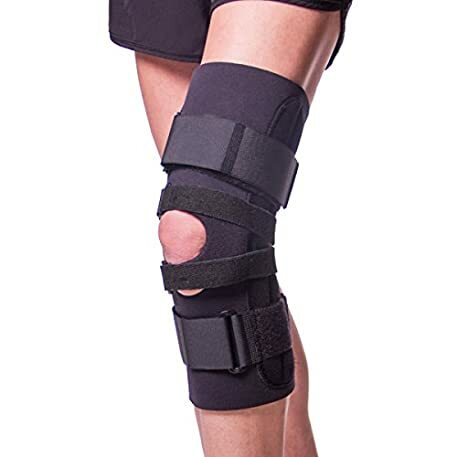 The removable buttress is composed of compression-molded, textured neoprene. 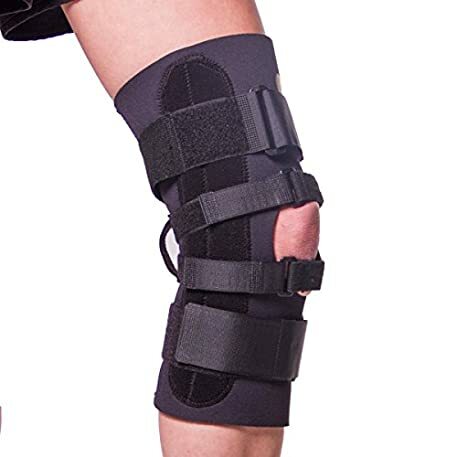 While this is not a hinged lateral knee brace, is does come with stays for added support. 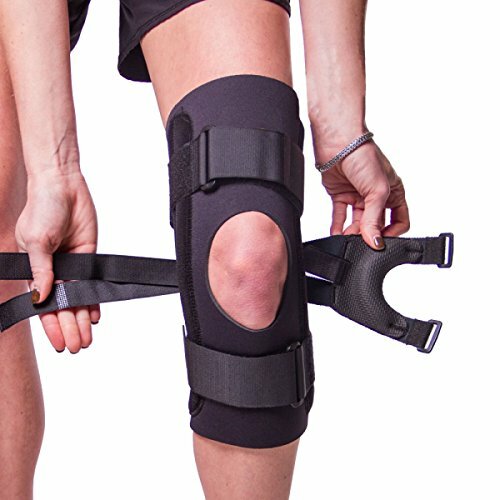 These spiral stays also help the knee brace from bunching or rolling. The lateral knee brace can worn on either the left or right knee, and is available in numerous sizes up to 4XL. 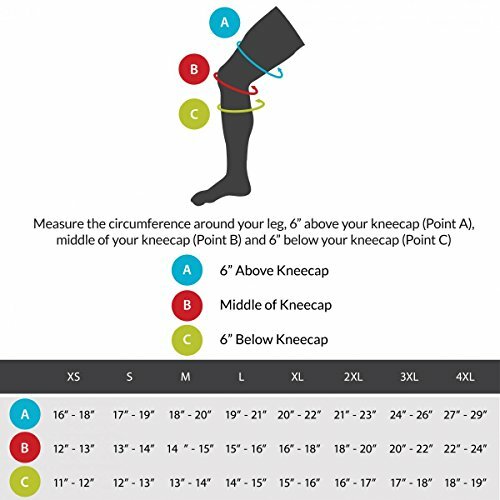 To determine your size, measure the circumference of the knee 6″ above the mid-patella, at the mid patella, and 6″ below the mid patella.